Balkan Civil Society Development Network (BCSDN) is a network of 15 civil society development organizations from 10 countries and territories in South East Europe (Albania, Bosnia and Herzegovina, Croatia, Kosovo, Macedonia, Romania, Montenegro, Slovenia, Serbia and Turkey). Our mission is to empower civil society in the region and to influence European and national policies towards a more enabling environment for civil society development in order to ensure sustainable and functioning democracies in the Balkans. Strengthening communication, coordination and cooperation between the civil society actors in the Balkan region. In relation to the TSI project, BCSDN is conducting an annual monitoring of the enabling environment for civil society developed via its own methodology – the Monitoring Matrix – and advocates for the development of relevant and sound policies and measures for development of the third sector in Enlargement countries. 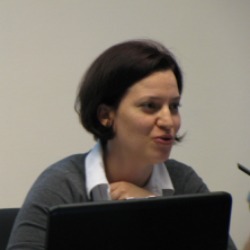 Tanja Hafner-Ademi holds an MA in International Relations and European Studies from the Central European University, Hungary. She has over 12 years of professional experience in managing projects on capacity-building and development of civil society in Enlargement countries. She has lead the Balkan Civil Society Development Network (BCSDN) since its beginning and acts currently as its Executive Director. She has actively participated to several global and European networks such as CIVICUS, CONCORG WG EPAN etc. and she currently acts as a Board member of TRAG Foundation (e.g. BCIF). She hasacted as expert or trainer to the EC or EU Delegations in Accession countries. Her areas of expertise include civil society development, EU integration process, cross-border cooperation and project development and management.